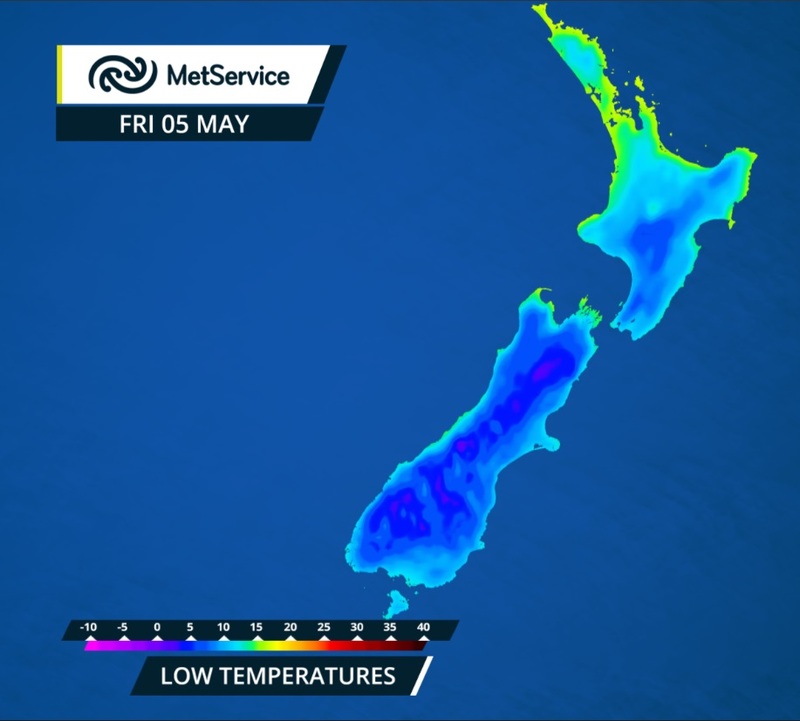 The weather is on the up just in time for outdoor weekend activities like the Rotorua marathon, though cold overnight temperatures mean it may be time to get out the winter duvet for some. “After our first significant cold outbreak of the season this week, remnant showers clear everywhere except for the far south and east of the North Island tomorrow as a ridge of high pressure starts to build from the west,” explained meteorologist April Clark “The ridge makes camp over New Zealand for the weekend making good weather for outdoor activities, apart from chilly overnight temperatures and frosts a plenty,” she continued. Why are there cold overnight temperatures after a cold southerly has passed? As a cold front passes, air behind it dries, meaning showers, and more importantly cloud, gradually clears. While New Zealand basks in the autumn sun, MetService meteorologists are monitoring Tropical Cyclone Donna located near Vanuatu which is forecast to intensify then curve southeast, but remain in the tropics over the weekend. MetService provides regular Tropical Activity updates on its website and will continue to keep people informed over the coming days, as the cyclone track becomes more apparent, about any potential impacts for New Zealand. This entry was posted on	May 4, 2017 at 1:16 pm	and is filed under Press Release.